Originally released as the baby brother to our APC16, the APC8 has become our #1 selling controller. 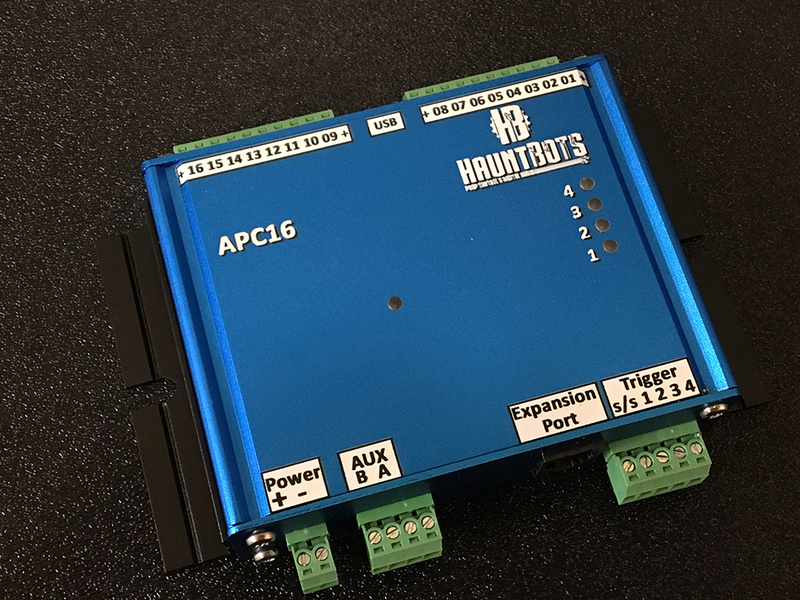 The APC8 incorporates the most commonly used features of the APC16 into a smaller package. 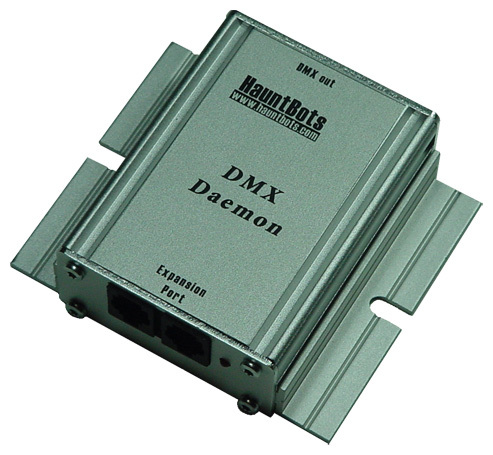 The 8 digital outputs are a perfect match for those applications where you don't need the capacity of our larger controllers. What type of application is the APC8 designed for? 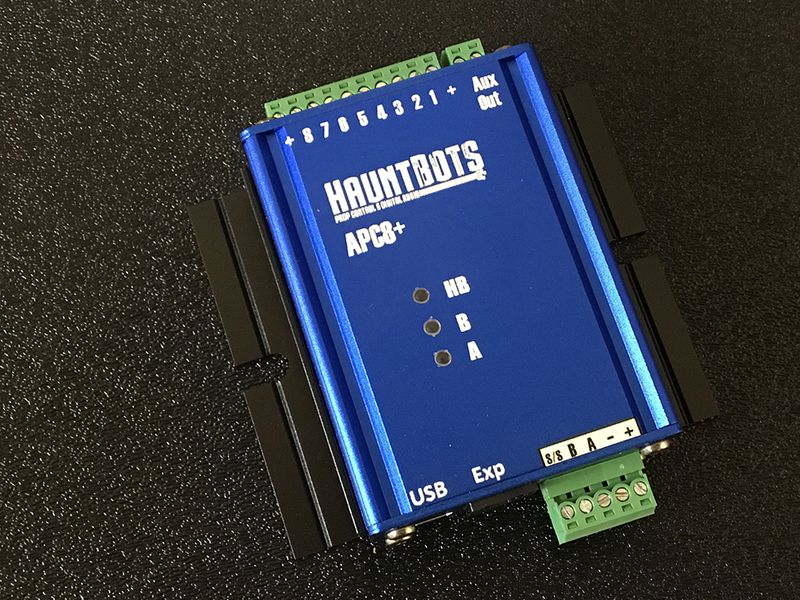 The APC8 was originally designed to control pneumatic animatronics requiring 8 or fewer solenoids. 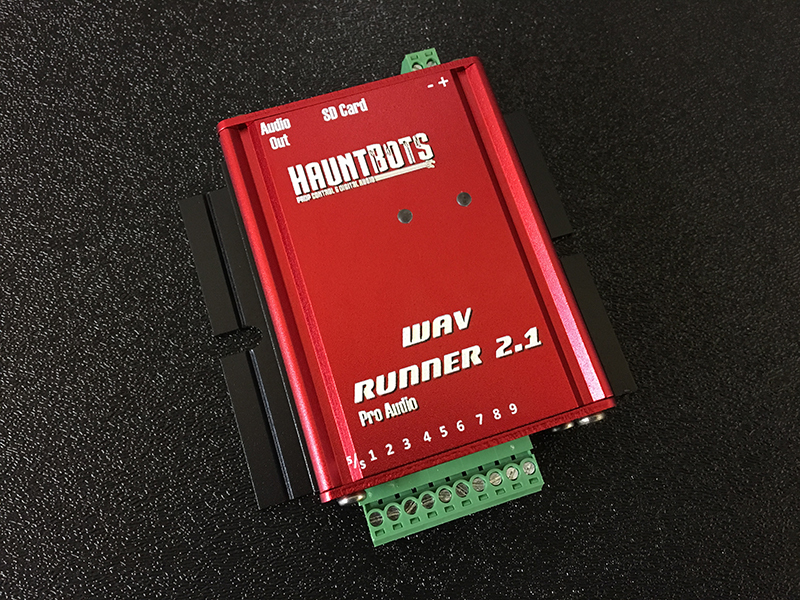 However, it has been used for applications as varied as light chasers, scene control in haunted attractions, interactive seances, museum displays, and of course- animatronics. There are 2 trigger inputs and 8 digital open collector outputs. The output driver can supply a total of 500mA of current divided among the outputs "on" at any one time. This is enough for low wattage air valves, as well as relays or LEDs. The trigger inputs are flexible and can be wired high or low (sinking or sourcing) as well as normally open or normally closed. The maximum system voltage is 24vdc. Animation sequences are created with our programing console software. This software (available as a free download) enables you to puppet your scene in real time by assigning either keys on the keyboard, or a joystick to the various outputs. Sequences can be manipulated graphically and a whole host of graphical and real time editing tools are provided. Once created, the show is downloaded to the APC8 and the computer is disconnected. 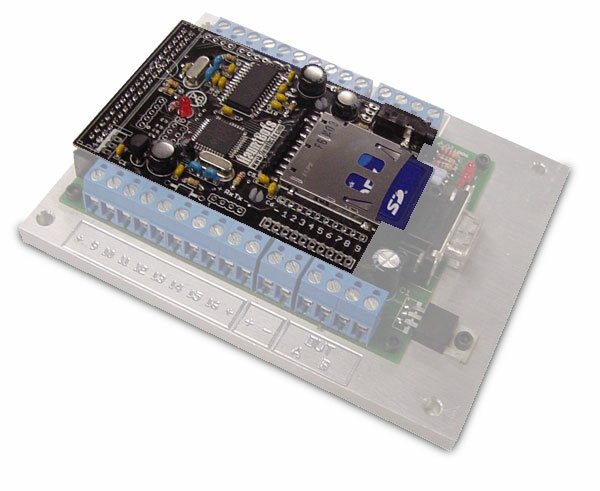 8 open collector outputs for driving DC voltage loads such as valves, relays, or LEDs. 1 Auxiliary relay contact to signal show start. 2 inputs to start / stop show or multi-show selection. Multi-Show mode enables creation of up to 24 shows. Adjustable frame rate: 10 to 60 frames per second- Maximum show length at 30 frames per second is 36 minutes while 10 frames per second allows over 100 minutes of programming on all 8 channels. 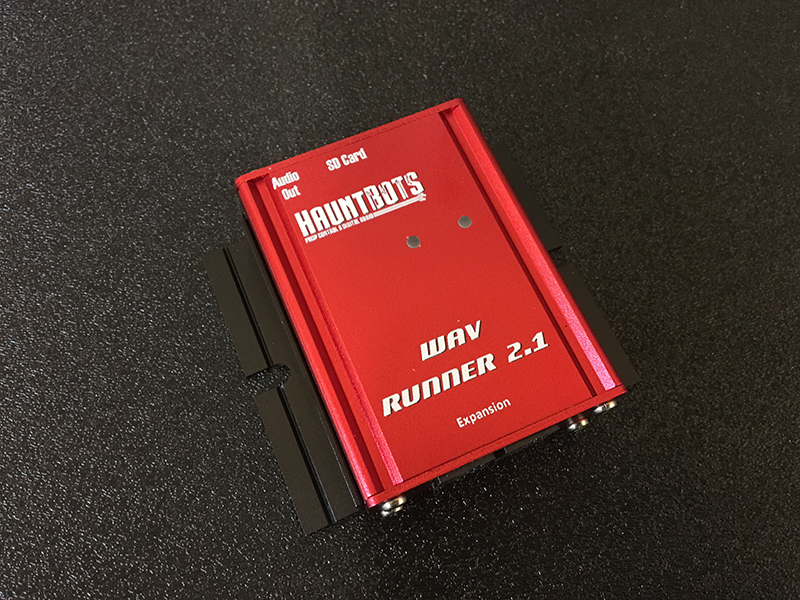 Expansion port for interfacing to other HauntBots products such as the WavRunner or DMX Daemon.